So in my last post I told you about my gramps having open heart surgery. He checked into Dixie Regional Medical Center 2nd floor Cardiovascular Unit on Tuesday afternoon. He was told to have breakfast and lunch before check in. After they ran all the tests and cleared him for surgery him and my gram were told to go have dinner. I waited for my husband to come home and I made sure that the kids were all ready, that they had food and then I went to be with my gramps. I arrived about 6:30 pm and visited with him until 8 pm. He was in great spirits and seemed ready to go get it over with. 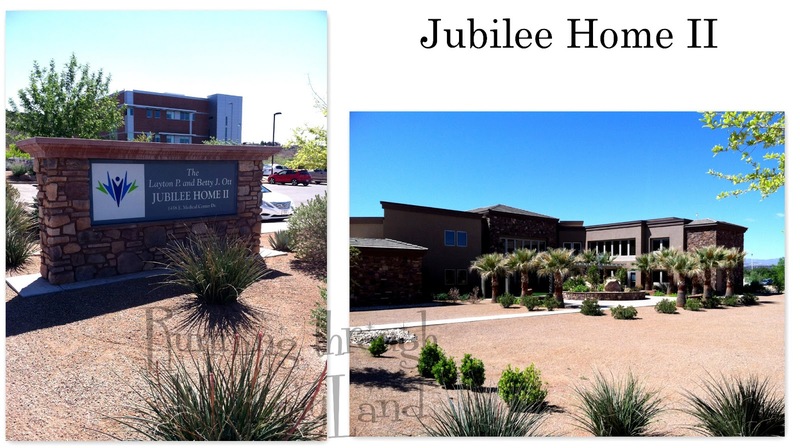 Gram and I went to stay at the Jubilee House. It is a great service provided by the hospital for the families of patients. It is located right next to the hospital so that you do not have to be far from your loved one. We stayed there the previous week and enjoyed our stay then as well. We had very comfortable beds. We were able to let our worries leave for the evening. We had to be back at the hospital the next morning by 6:30 am if we wanted to see him before surgery. They had given him his shower and were getting him all wired up when we got there. His surgery nurse Laura came in and gave him all his instructions. She gave us ours as well. Then we were off and rolling down the hall. Gramps was going to surgery and we were going to the ICU waiting room. We said goodbye and told him how much we loved him. That was 7 am. Laura said she would call from the O.R. around 9 am when they had him on bypass and again when they were closing, unless anything went wrong. So we waited. They had a very nice waiting room. It had coffee,which I needed, TV and magazines. It was very comfortable for an uncomfortable situation. Gram had some friends come and stay with us while we waited. They were great company and it made the waiting time easier. Right on schedule around 9 Laura called and said he was on bypass and everything was on schedule. At 11:30 am she called again and said he was closing him up and everything had gone great. We all were able to breathe a little easier. Laura said that the doctor would be out in 45 minutes to talk to us. Dr. Kory Woodbury came out to tell us how it all went around 12:30 p.m. He explained to us how he replaced the bad valve with a new tissue (pig) valve. He was concerned before surgery that he would have to do another bypass and he informed us that his old bypass looked good still. He also did not have to put in any new stints. He was very pleased with how it all went. He said we could see gramps within the hour. I had been expecting the worst when I saw him. I expected tubes everywhere when I saw him. They had him mostly covered and he just appeared to be sleeping. We could not stay long in ICU at one time so we would come and go from the waiting room. We finally had something to eat that was not cafeteria food. They wanted to take out his tubes within 4 hours so we waited to go back in until we thought those were out. Little did we know that he would not wake up till almost midnight. After having been at the hospital for 14 hours we decided to finally call it a night and headed back to our room. The next morning we were finally able to see him AWAKE!!!! He had the tubes out and had already been up sitting in the chair. Soon after we got there they were ready to take him to his room and he was going to walk as much as he could. He walked the whole way. We walked behind him cheering him on. I walked all the way to his new room. He even picked up the pace a little at the end. His rehab nurse said his cape was flowing in the wind. I was so dang proud of him. He is my hero. He got to his room and sat up in his chair for awhile. He wasn't out of the woods but he was well on his way. He needs to cough and get all the gunk out of his lungs so he does not get pneumonia. My gram stayed down there with him and I came home. After 2 days away from my family I was missing them. I am sure they were missing me too, especially the hubs. I have been in contact with grams since I came home and they now have his chest tube out and he has been going on a few walks. He is still trying to cough and that is good. I am so thankful that he made it and is doing so well. I think my cousin's wife said it best "The thing about the Smith's they don't go down without a fight...." She is so right. My gramps said I am just an old cowboy. Well that old cowboy is a fighter. I say not bad for an 80 year old. Your heart is so important. Make sure to stay healthy and get it checked. I made sure that I wore red all day on Wednesday for my favorite heart patient. They have come so far with heart procedures. I hope I never have to experience this again. He is still continuing to do great. He should be able to come home tomorrow if they can get his heart in good rhythm. So glad everything went well with the surgery and he was up walking so soon! What a trooper! Thanks Karen. He has done so great.